This symbol needs very little elucidation. There is a suggestion here that collectively, whatever has not been uncovered by the eclipse energies and retrogrades of the summer is now finally going to break through the threshold that separates the conscious and unconscious mind. In many of the flower essence card readings I was doing this week, the Cherry Plum card was consistently coming up. I delineated from this that it was a collective energy inhabiting many of our current experiences and dispositions towards the transitions we are individually facing in our lives. Cherry Plum is a flower essence used to connect more deeply to the aspects of the unconscious that we are deliberately suppressing, ignoring and escaping, in order to bring more peace and resolve into our lives. This energy is very Scorpionic, and relates to the alchemical truth that the medicine is in the wound, the gold in the inner grave, dig up what is unreleased and you have the prima materia for transformation; the essentials for dismantling the ego and stepping more fully into the soul experience. Virgo is by nature a sign that joins Scorpio in tending to favour repressing and exerting control over the unconscious landscape. Scorpio is designed to emotionally plunge into these processes once they have accepted vulnerability as a way of being, whereas Virgo often experiences misalignment through the messages of dis-ease and discomfort they receive through the bodily landscape, and so they begin their inner explorations through some form of physical or dietary experimentation for healing and self-care. It is clear we are at a point of great transition. What is important to remember about this process is that it inhabits a lot of energy, like a volcano. And, while a volcano creates new land, it also destroys whatever comes into its fiery path. At this time we must learn how to work with the new energies that are surfacing in a way that is creative, as it is just as easy for these energies to become destructive. We are now at a place where we must learn how to work with water, meaning the completion of the emotional cycle through honour and release, in order to properly move forward in our lives. It is unrealistic to believe that just because we are spiritually tuned individuals that we would be joyful all the time. We live in an imperfect world and we come into contact with the karmas of everyone around us on a daily basis. We will experience the suffering of the world until the last man is liberated from his egoic prison. Until then, we will naturally experience the waxing and waning of our own emotional nature, and in order to be at one with it, we must unite with it and honour its place in our lives rather than suppressing it or silencing it. 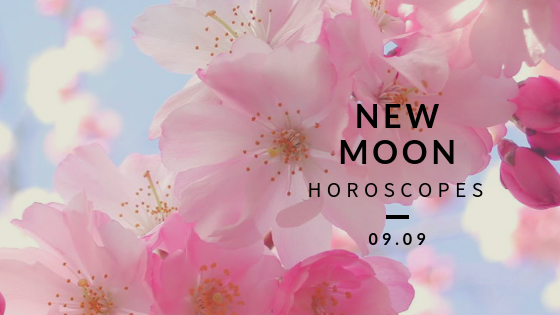 As this Moon comes into opposition with Neptune, one of the positive ways we can channel the surfacing emotions is through more deeply connecting with those around us and sharing our suffering; not as victims but as honest members of humanity. We all know life is hard, even though we don't necessarily talk about it. Whether it be a conversation with God or with a few good friends, it's important for us to voice what we've been experiencing as we will find that many of those around us will be able to relate. That sense of feeling supported in our journey and able to be vulnerable and honest about what we're going through is important to tap into at this time. Mars and Venus are also coming into an almost exact square during this Moon, surfacing our relationship to will vs. desire, confrontation vs. negotiation, warrior vs. unifier. If you find you are in conflict in your interpersonal relationships, it is important to see where the discord lay within, and likely it has something to do with your inner balance of giving and receiving, and making sure your actions and values line up. Put your money where your mouth is bbs. Set your intentions for how you would like to be more in tune with your body and its needs. Your high energy levels mean you are likely to be very active, so use the expression of that force to work through some of the emotions that are arising and to connect more fully with your breath and inner experience. Set your intentions for how you would like to come into a more confident and unashamed style of self-expression. Release the feelings of staying small, being a wallflower, or letting other people take up space that is deservedly yours to fill up and occupy. Tap into your creative seed and express what you feel is most genuine about yourself with as much freedom as is possible for you. Set your intentions for how you would like to more deeply connect and honour your emotional needs for nurturance. How do you nurture yourself and how do those around you provide you with nurturance? Are you able to come home to yourself and stabilize your inner landscape through self-care and self-love? If not, what things could you be doing to strengthen this process within? Set your intentions for how you would like to more easily communicate your ideas with those around you. Trust your ability to speak and to listen well, and work with the mental stimulation that is coming in at this time to drive you towards learning more of what you need to know to build confidence and to express yourself more clearly with others. Set your intentions for the financial abundance you would like to attract at this time, understanding that your ability to bring in prosperity is directly in line with your feelings of self-worth and ability to live in alignment with your personal value system. Work on tending to your inner garden so that you are in harmony with the object of your desire and build on the resources that you have already in order to bring more into your life. Set your intentions for how you would like to more freely express what is unique about you. Accept what makes you different on a level that was previously unimaginable for you. If you need a system of knowledge to deepen your self-awareness and self-knowledge, turn to astrology, tarot or another expression of divine truth that resonates with you and excitedly plunge into your internal landscape for answers. Set your intentions for what kind of spiritual growth you would like to see occur within you. If you feel you need to retreat from the outside world in order to reconnect, do so. Take some time out in order to explore the emerging spiritual connection that is being revealed to you and to develop a more personal relationship to your guides and the universal forces that have your back. Set your intentions for what you’d like to contribute to the human family through active and radiant self-expression and creativity. You may find you are in a more social mood this month so embrace these energies and build your network, allowing your desire for like-minded company to drive you forward and to build your trust in believing in your creative and contributive potential. Set your intentions for where you’d like the direction of your career to go and write down your goals for the commitment and fulfilment of your life purpose. Focus on the long-term investment of your energies instead of the expectation of what is to immediately arise from your current efforts. Allow your direction to unwind before you simply by committing to one thing and trusting it to carry you forward. Set your intentions for what kind of new beliefs you would benefit from adopting and applying to your life. Is there too harsh a critic animating your experience? Do you feel your idea of what reality is serves your self-realization or does it convince you of your own limitations, which are not truly there? Explore some spiritual texts or a more holistic perspective to set yourself free from taking things too seriously. Set your intentions for what you desire to release in life. This is often a destructive emotional pattern that comes from a conditioned/learned belief about some aspect of your life. Recognize that all the energy that creates conflict in your life belongs to this category. Especially in your intimate relationships, be willing to accept that there are things within you that you may not yet know or understand and that these create conflict with others. Work with them as consciously as possible so you can move forward as a stronger and more whole individual. Set your intentions for what you’d like to see come to fruition regarding your personal relationships. Who are the individuals in your life that honour your need for harmony and justice? Are there individuals who do not honour your authentic self-expression and so require of you a dissolution or waving of your personal boundaries? Examine these relationships and be honest about where your personal needs aren’t being met.